You’ll find our Winfields Feckenham store situated in a delightful rural area in a small village between Astwood Bank and Droitwich, and not too far from both Birmingham and Worcester. We have a fantastic tent display, featuring over 50 tents from the biggest and best brands in the industry, including Vango, Outwell, Zempire, and more, so you can see the tents for yourself to see which one is right for you. 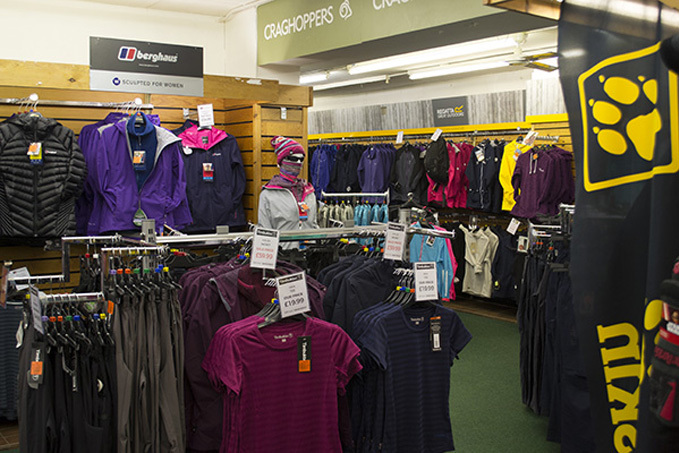 Our knowledgeable and friendly staff are always on hand to help with any questions or queries you have, whether it’s about camping equipment, walking footwear, workwear, cycle clothing, or the huge range of other products we have in store. You can also get walking boot and rucksack fitting advice to ensure you pick the right products for you. Our store also has it’s own picnic area with close access to local trails, so if you’re feeling active, bring your walking boots and a packed lunch! The nearest motorways are the M5 (junction 5) and the M42 (junction 3).